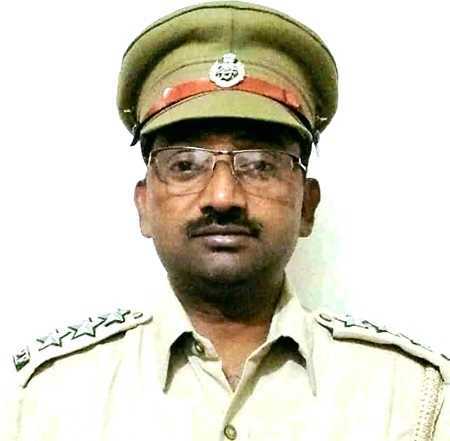 The body of missing Forest Range Officer Vijay Kumar was found in a forest on Thursday. A bottle of poison and a suicide note written on a notepad were also recovered from the spot. His family members demanded a thorough inquiry into the matter. According to the police, the note was partially legible as the notepad had dampened badly due to heavy rain. The suicide note, purportedly written by Vijay, was addressed to his wife. The note said, “I am unhappy with the system. I am upset. There will be a big responsibility on you, but I believe you will manage it. Do not panic.” Besides, Vijay did not hold anyone responsible for his death. “There is a lot more written in the note, but most of the words couldn’t be read. We are investigating the suicide note with the help of forensic experts,” said the police. Station House Officer (SHO), Sadar police station, Rajesh Arora said in a statement given to the police, Vijay’s wife Rajni has questioned the appearance of body on Thursday which could not be located even after five days of search. “If Vijay had committed suicide on Sunday, why didn’t the body decompose even after lying in the rain for four days,” she suspected. The family members said Vijay was mentally very strong and he could not commit suicide. The elder son of the deceased is expected to come from Canada on Friday. The postmortem examination will be done after his arrival. Later in the day, DFO Naresh Mahajan and Principal Chief Conservator Jitender Sharma visited the house of the deceased to express condolences.